3-stage front and 3-stage rear arms providing the advantage of lifting many common cars, trucks, vans and SUVs within rated capacity.  Service more vehicles and make more money with Challenger Lifts’ new CL12-1, 12,000 lb. capacity two post lift. The new CL12-1 comes standard with 3-stage front and 3-stage rear arms providing the advantage of lifting many common cars, trucks, vans and SUVs within rated capacity. The CL12-1 has features you would expect to pay more for like geared arm restraints, 3-stage front and rear arms, and necessary adapters for lifting trucks. In fact, no other car lift company gives you more. All CL12-1 12,000 lb. capacity vehicle lifts come standard with Part# 10315 Stack Adapter Extension Kit and Enhanced Screw Pads. 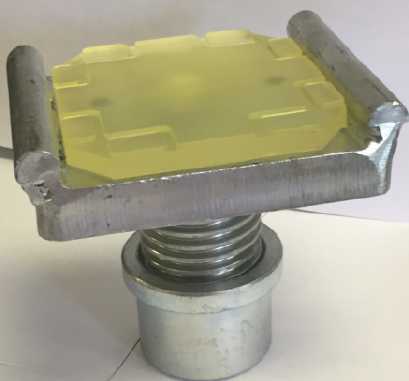 The enhanced screw pad features durable contact pad with built-in raised edge on two sides to accommodate locating of framed vehicles. 3-stage front and 3-stage rear arms provide greater extension and retraction. Single-point mechanical lock release system allows technician to disengage both column locks simultaneously. Oversized steel pulley reduces stress on equalization system and provides increased durability. 60” lifting carriage lessens column stress by dispersing load.Standard combination stack screw pads and storage brackets accommodates a wide range of vehicle pick up points. 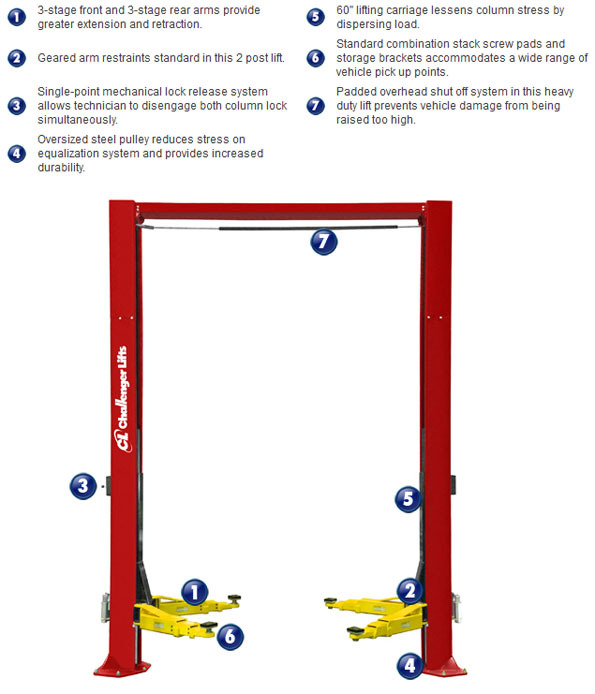 It's what sets Challenger Lifts apart from the rest of the car lifts industry. 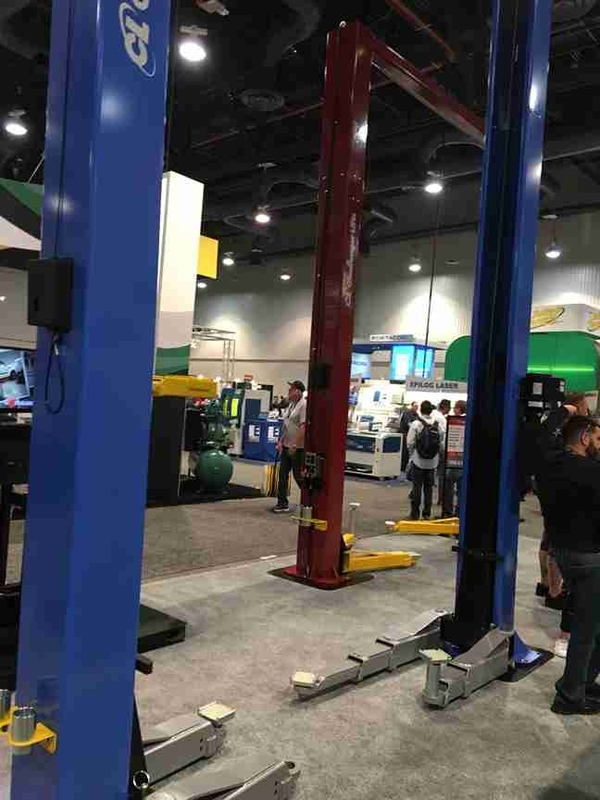 Innovation is at the heart of important technological advances like the revolutionary Versymmetric® automotive lifts, the industry's first 3-stage front and rear arm 12,000lb 2 post lift (lift anything from a small sedan to a Heavy-Duty Truck! Challenger Lifts' comprehensive line of automotive lifts and car lift accessories are inspired solutions that create increased shop efficiency and enhanced revenue potential. In the table below, view detailed specifications for each of the CL12 two post lifts, including the CL12, CL12-1 and the CL12-2. Compare overall height, shipping weight, required ceiling height and other specs side-by-side. If you have questions about the CL12 heavy duty lift, contact us today. 13' 2 - 13' 8"
*Lift capacity ratings are based on loads equally distributed on all four arms. 1 Rise Height is measured with high extension. 2 Medium and high auxiliary adapter extensions are standard. 3Optional 3 phase electrical also available. Specify at time of order. 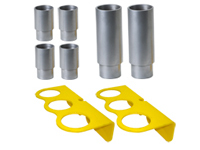 Frame engaging adapters (10314 or 10318) are REQUIRED when lifting vehicles with frame construction.